them know that bed time is coming, and the warm water soothes and relaxes them, preparing them for sleep. 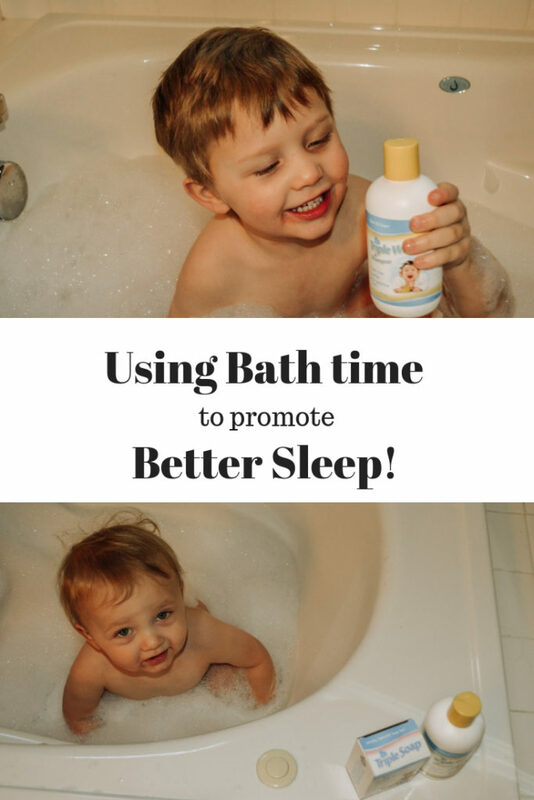 And I have to say, not only did it help with their sleep schedule, but I’m actually really enjoying bathing them every night! It’s so nice to have a strict routine and bath time has really become a fun, bonding time for us. skin barrier and microbiome. 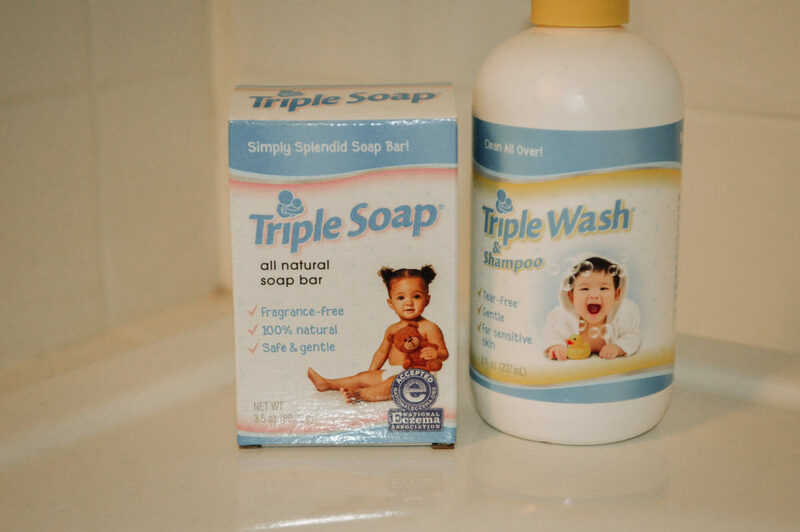 Triple Soap is kid sized and has received the NEA seal of approval. Bath time has really been wonderful! The kids get to play together and bond with each other and I get to bond and play with them too. I remember the first time we bathed both of them. We were so nervous. With Sawyer, we were so concerned we would do something wrong we called my mom to come over and help us. He loved the bath and was instantly soothed. With Oliver, he was still in the NICU and the nurses usually bathed him when we weren’t there. This time, we happened to be there for bath time so they let us do the bath. They instructed us how to bathe him despite his tubes and leads, advice we would need for months to come. It was much harder than bathing Sawyer, and he definitely didn’t like it as much, but it was so wonderful to finally bathe him ourselves. Since then, I try to always remember how precious things like bath time can be. 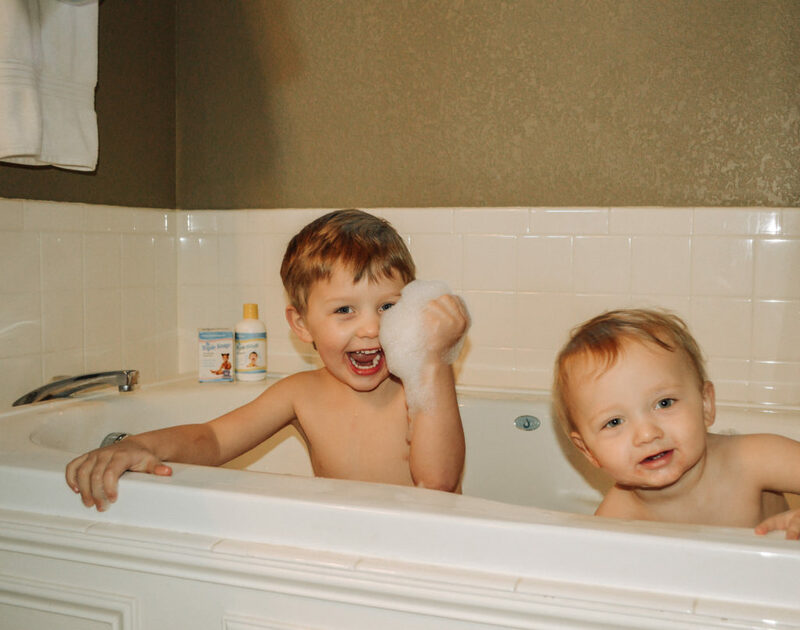 The days go so fast and soon they won’t want to take a bath together or for me to help them. I have to savor the moments while I can. 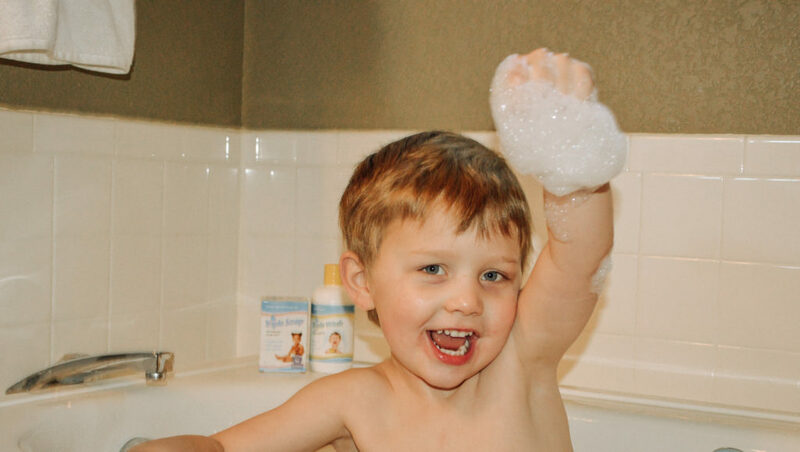 While we’re savoring bath time, I trust Triple Wash and Triple Soap to keep my kiddos safe and clean. Be sure to shop for them on Amazon!